The Market Development strategy for attracting investment to Ontario includes building long term consumer awareness of product innovation, identifying potential industry partners and continuously developing and maintaining export market relationships. Currently Grain Farmers of Ontario is supporting a number of strategic opportunities through its Grains Innovation Fund. 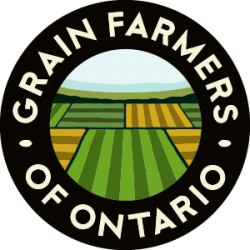 Grain Farmers of Ontario is the province’s largest commodity organization, representing Ontario’s 28,000 barley, com, oat, soybean and wheat farmers. The crops they grow cover 6 million acres of farm land across the province, generate over $2.5 billion in farm gate receipts, result in over $9 billion in economic output and are responsible for over 40,000 jobs in the province. Under this Market Development initiative, funding is available to support development of new and reformulated products and processes which have the potential to expand the market for Ontario barley, corn, oat, soybean and wheat crops or crop residues. Projects which satisfy the eligibility criteria established for this fund can receive up to 60% of the cost of the project up to a maximum of $50,000. Applications will be accepted until 4 pm Thursday, November 1, 2018. Interested companies are encouraged to contact Grain Farmers of Ontario before preparing and submitting an application to discuss your project idea. Grain Farmers of Ontario can provide feedback on whether your project meets the program criteria. Contact Justin Shepherd at jshepherd@gfo.ca or (519) 837-2285. And/or increase the value (premiums) of Ontario grains or grain residues. 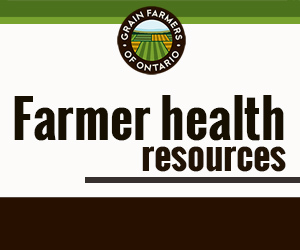 Each project is subject to review by Grain Farmers of Ontario and will consider all merits of the project and benefits accruing to Ontario grain farmers, in addition to the amount of grain utilized. The 40 metric tonnes per year requirement may be waived for pilot projects that initially use smaller volumes but must demonstrate the potential to significantly increase future utilization of Ontario grains or grain residue. If a project proposal is deemed eligible, the amount of funding to be provided shall not exceed 60% of the eligible costs associated with the project, up to a limit of $50,000. Grain Farmers of Ontario reserves the right to determine the amount of funding to be allocated to a project based on its ability to contribute to the growth and innovation of the Ontario grain industry.